ABA is provided to school-aged children with ASD through our centre-based program (“Children’s College”) or in the child’s home. The ABA therapy is individualized to the child and can be “Focused” (10 to 25 hours per week) or “Comprehensive” (25 to 40 hours a week). For school-aged children with ASD, it is important to coordinate services with the efforts of the child’s school. 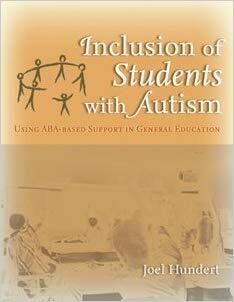 Dr. Hundert has written a book on ABA-based supported inclusion of children with ASD in school that provides the basis of how we coordinate with schools. We also provide consultation and workshops to schools on ABA interventions and consult with a number of school systems on the development of ABA programs for students with ASD who are presenting significant behavioural challenges. Individual and group sessions of parent training in specific ABA procedures are offered in areas that include how to teach your child to follow your requests, how to teach your child to make requests, toilet-training and dealing with food selectivity.